IS A DRONE (UAV) PROGRAM RIGHT FOR MY DEPARTMENT? Eliminate surprises by understanding a scene and its threats far better than you can from the ground or a ladder. Drones in the fire service empower your department with the most important firefighting tool since the invention of the fire hose. Deployable in seconds upon arrival on scene, a firefighting drone can have the entire scene assessed quickly – often well before other vehicles en route even arrive. Save resources and save money while keeping your crew out of harm’s way. Don’t send a human being to evaluate a volatile situation when an inexpensive drone can do the job quickly, safely and effectively. High-resolution, live-streaming daylight cameras, FLIR thermal cameras, and gas sensors take the guesswork out of sizing-up scene safety. Firefighting drones are proven tools that reduce costs while eliminating risks to people and expensive equipment. Go over obstacles and threats that would have previously delayed operations – or halted them altogether. Firefighting drones have eliminated the need to put people and expensive equipment in harm’s way to assess a critical HAZMAT situation, or wildfires. It’s more efficient and safer to deploy an inexpensive small UAV to identify threats before they can become true dangers. In addition to the standard high-resolution cameras providing real-time video, available FLIR thermal cameras and gas sensors will allow you to assess the situation more effectively than ever before. Know when and where to send people and resources with levels of safety and efficiency that were never possible before. A search and rescue mission that used to take hours or days can now be accomplished in minutes. Go where no helicopter, ladder truck, boat or human being can – or should – go. Search and rescue drones can be outfitted with FLIR thermal and smart tracking hardware to find people through smoke, flames, and other obstructions that would hinder operations utilizing traditional methods. Our UAVs can even drop critical supplies, life vests, tow lines, and more to victims. Find victims faster, scour large areas in minutes instead of hours, all without putting yourself or your crew in harm’s way. 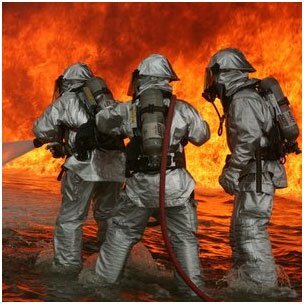 We have experience and speciality to understand your needs and have built customized training for Fire and Rescue departments. We provide ground school & flight training, consult on building the Standard Operating Guidelines to meet Transport Canada requirements and guide you through the SFOC application and licensing process.